In last week’s issue of Famitsu, the magazine published a review of Pokemon Super Mystery Dungeon. Four editors gave the game a “9” for a total of 36 points. 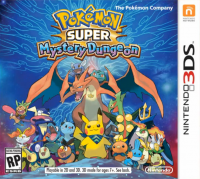 We now have a complete translation of Famitsu’s Pokemon Super Mystery Dungeon. You can find it after the break. There are 720 kinds of Pokemon and there’s such an epic story from all of the Pokemon lore, yet with the latest work, we have a very content-specific culmination from the series. 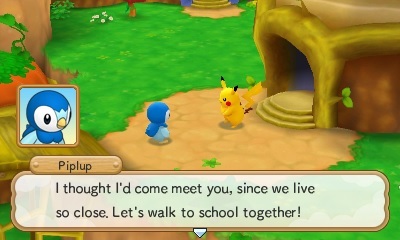 On top of being fun, “Mystery Dungeon” is alive and well, and being able to connect with different Pokemon you want to mate adds so much, as well as addition of Mega Evolutions! You are also able to record and replay your dungeon playthroughs, and it is also interesting to upload them to net. The types of Pokemon that appear huge, you can make them your Pokemon hero and partner, which makes me happy. The mechanism to increase your fellow Pokemon through the “Connection Orb” is fun, and you can easily just add them to your favorite Pokemon. It’s good that this became easier. Combat and dungeons make full use of the four skills, and the story is truly big! This game has become a big attraction in its own right. Even while taking over the base of the series, collecting more Pokemon has been incorporated with such ease. The Connection Orb, which is used to steadily add adjacent Pokemon as your partners like drawing star signs, is one quest element that motivates to play. Life in Pokemon while attending school is lively, and the story was made very well and became a lot more interesting. The game is actually quite polite, which makes it an easy introduction game for those new to the series. So far, there are 720 types of Pokemon, and the volume is also a masterpiece itself. The game is wonderfully produced to draw users into the world from the very beginning, including a robust tutorial, and it helps to guide you throughout the game. On the other hand, though, progressing is slow and it takes some time for the game to get into the real part, but the story is very attractive and made me quite anxious. The “Connection Orbs”, “Rabis and Lingle”, Mega Evolution”… it’s hard to respond completely to all of the new elements, which I enjoyed a lot.